Rustic, wholesome and bursting with flavour, service, quality and passion for produce are the cornerstone of Courtyard Cafe. From the finest coffee and exquisite bakery delights, to the abundance of fresh produce used in the seasonally-inspired menu, ingredients are locally sourced from the finest producers available. Grab-and-go options are available. At the Courtyard Restaurant, flavoursome ingredients are sourced locally and organically, where possible, and prepared with minimum fuss so their natural quality shines through. From the field to the grill, owner and operator of Catering HQ, Steve Sidd, said only the best cuts of steak make it to the plate. Authentic, hand-stretched, thin crust woodfired pizzas are topped with the finest and freshest quality ingredients, while range of gelatos, imaginatively created The Gelato Factory by Charlie, offer flavours too good to refuse. Casual and relaxed, The Hills Diner is a family restaurant with a menu as dynamic as the environment. Diners can choose from a wide range of gourmet burgers, wings and loaded fries, or enjoy succulent tender chargrilled ribs and steaks – straight from Australian farms, cooked to perfection and matched with impeccable, friendly service. 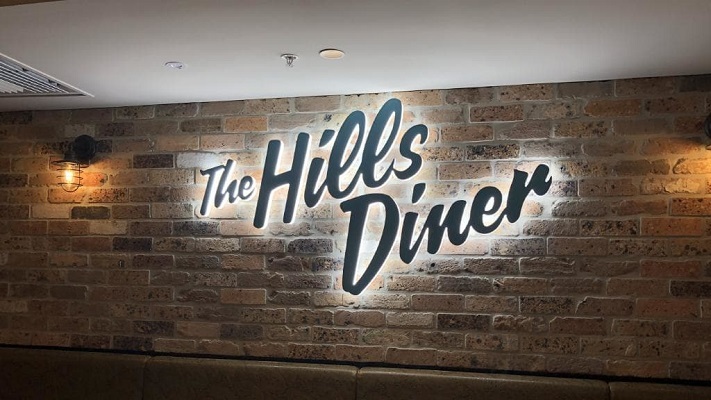 “The Hills Diner menu can be enjoyed from Sports at 77, where our guests can sit back and experience their favourite food watching their favourite sports on the big screens,” Steve added. The Easter long weekend is the perfect time to hop on in to Castle Hill RSL, try the new menus across all the dining destinations, and sample the special Easter dishes.